SOON TO BE A MOTION PICTURE starring Terry Dexter as The Lost Supreme and Jon Heder as Author Peter Benjaminson. Based on extensive interviews with Florence Ballard. Published by Chicago Review Press Lawrence Hill Books. NOW IN PAPERBACK! See Flo TV1 Bio Here! The Supremes were the most successful female vocal group in history. Of the three original members--Diana Ross, Mary Wilson, and Florence Ballard--two have told their life stories in bestselling books. 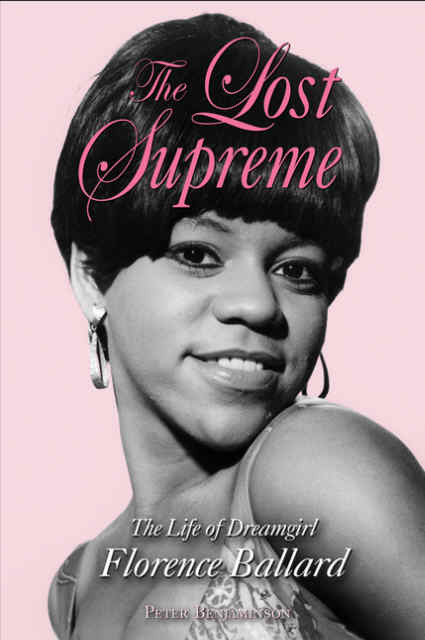 Only Florence Ballard, the spunky teenager who founded the group, has remained silent. Until now. Flo’s never-ending desire to be the Supremes’ lead singer, the support thousands of fans gave her, Diana Ross’s successful struggle to prevent this, and much much more. Flo Ballard traveled around the world in luxury, chatting with royalty and heads of state, applauded by millions. Long after her death, a fictional version of her life was portrayed by Actress Jennifer Hudson in the movie "Dreamgirls." But when Flo's life ended, at the age of 32, she was a mother of three who had only recently escaped from welfare. The purpose of this book is to explain how this happened. Reporting (with Dave Anderson), Death in the Afternoon, Publish Without Perishing, Secret Police and The Story of Motown. He has worked as a reporter for the Detroit Free Press and the Atlanta Journal-Constitution and now lives in New York City.